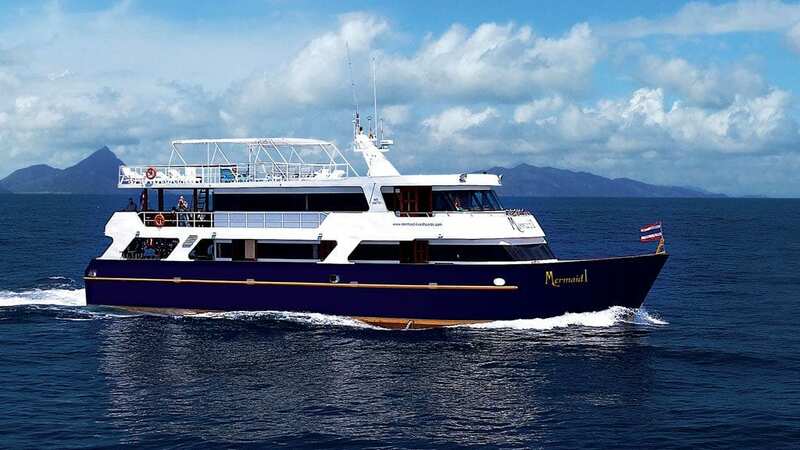 The Mermaid 1 Liveaboard, a luxurious steel-hulled motor yacht, offering 9 night Komodo trips from June to October and 10 night Raja Ampat trips from November to April. Some special relocation and biodiversity itineraries are offered between these times. See below for the full itineraries, availability and pricing. 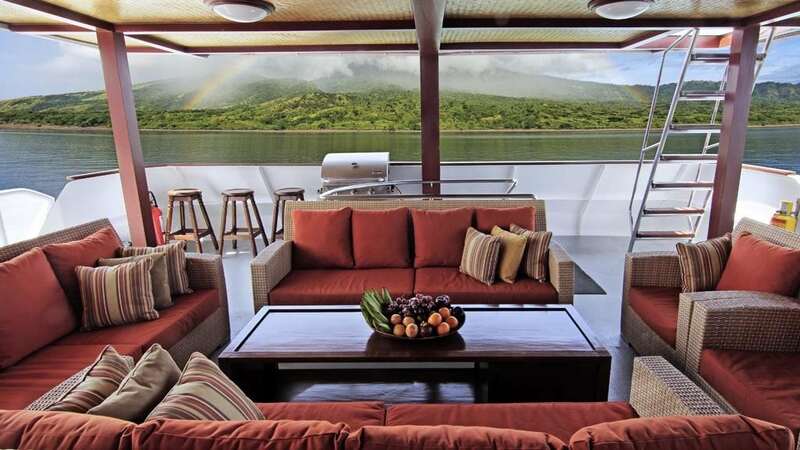 The 28m long liveaboard has two outside decks, one shaded with outside seating and the fabulous sundeck with sunshade plus cushioned sun beds ­ a great place to relax. 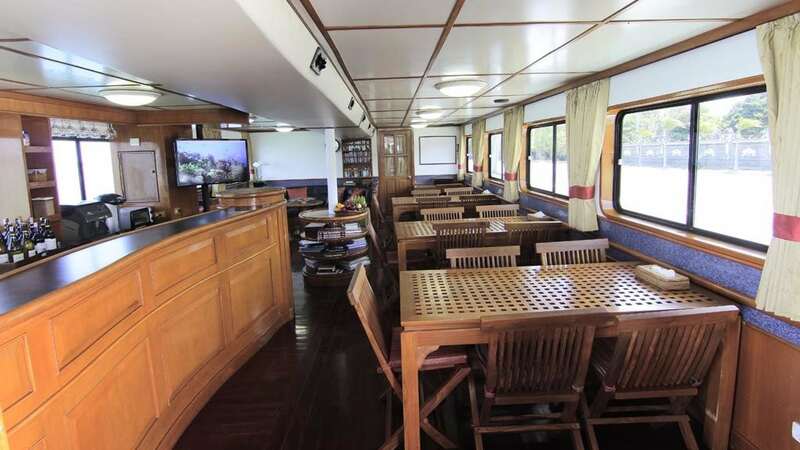 The ‘Sawasdee Restaurant’, complete with large windows to enjoy the views, serves delicious Thai, Indonesian and western meals, and there regular BBQ’s. 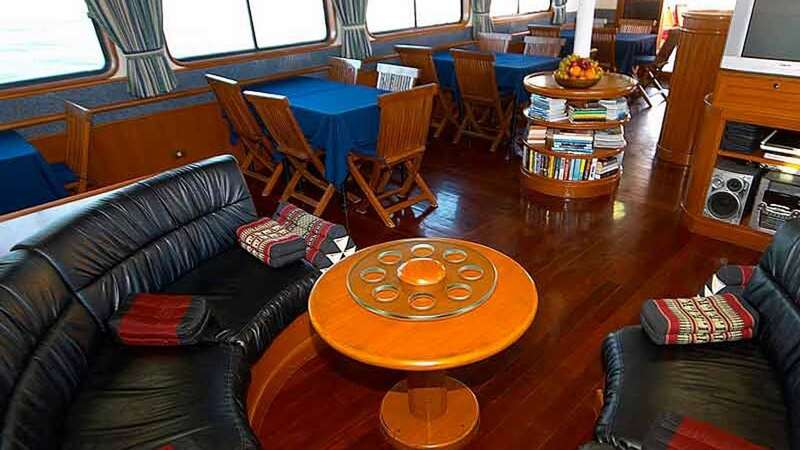 After meals, you can relax in the salon with TV/DVD and music centre, or select from an extensive library and full range of marine life books. 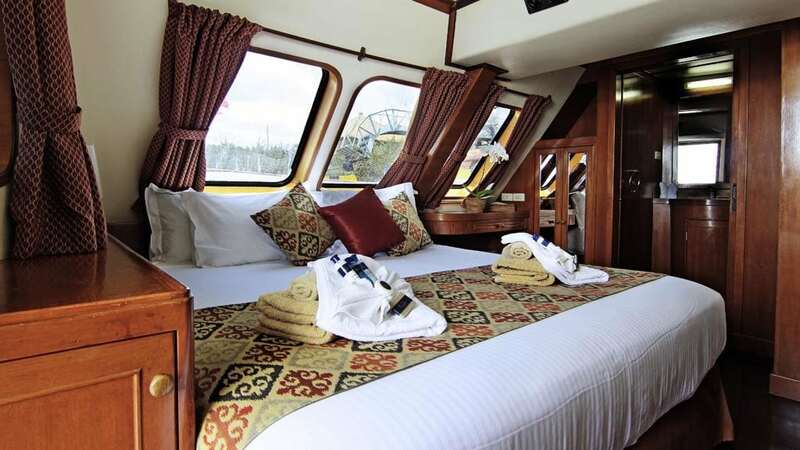 Mermaid 1 offers plenty of space for 15 guests in 8 cabins: All cabins are fully air-conditioned and equipped with TV & DVD player, single, twin or double bed, a large wardrobe, plenty of storage room and an ensuite bathroom with hot water shower, toilet and sink. The cabins come with bathrobes, hair-dryers, soap and shampoo. 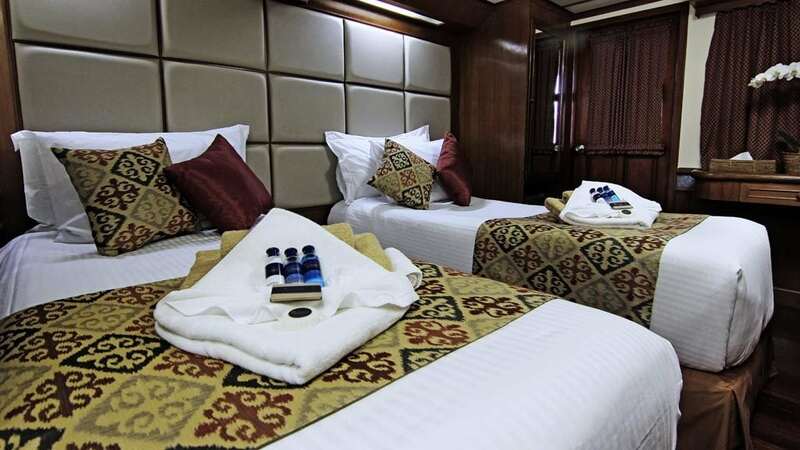 Fresh bath towels and deck towels are provided daily. 2 Budget Cabins (double/twin beds). 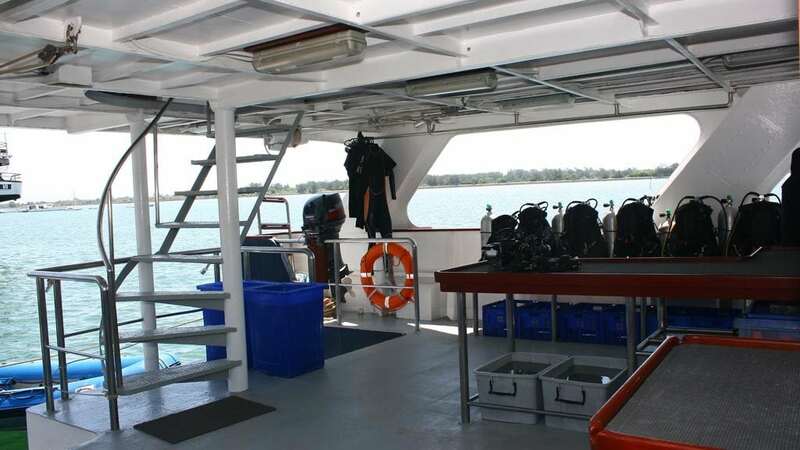 The huge purpose built dive deck and wide stern dive platform with two exit ladders makes the entry easy and two dinghies can drop and pick you up safely in the right places. 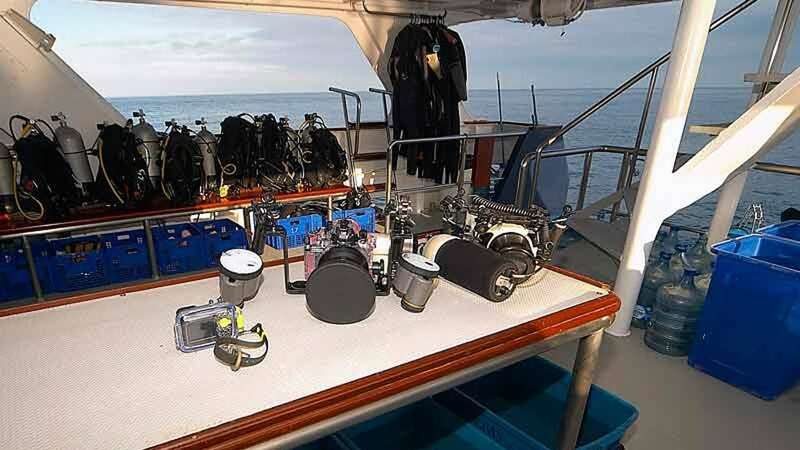 Freshwater showers are installed on the dive platform, and six camera rinse tanks mean valuable equipment is well looked after. Mermaid 1 provides 20x 12L (80 cuft.) air tanks and 20x 12L Nitrox tanks. There are also 5x 15L (100 cuft.) air or Nitrox steel tanks on board. DIN and INT valves are available. 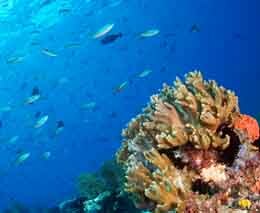 Komodo: the dive sites around Komodo are among the best in Indonesia. 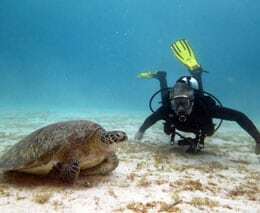 The strong currents create nutrient-rich waters, making the area very interesting for experienced divers. 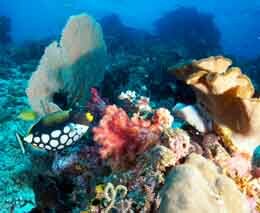 Komodo offers an incredible diversity and variety of reef structures. 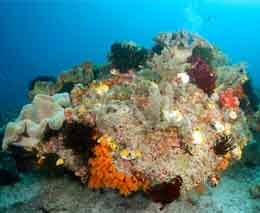 Hard coral gardens, cliffs overgrown with soft corals, and particularly the slightly cooler water around Rinca guarantee an underwater world where every dive is different. 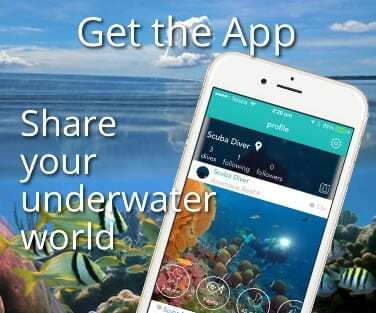 Please note that in the south of Komodo, the water temperature is quite cool at around 23°C (73°F). 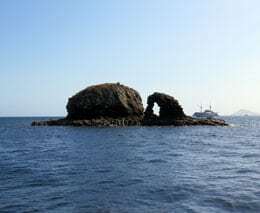 In north and central Komodo, the average temperature is about 26°C (79°F). The excursions go to the north and/or south depending on season and weather. Raja Ampat: the waters surrounding West Papua (formerly Irian Jaya) offer enchanting coral gardens, cliffs and an extraordinarily diversity of fish. Macro lovers will find this region a true paradise. Pygmy seahorses, frogfish, blue ribbon eels and an incredible variety of nudibranchs are just a few creatures of this special little world. 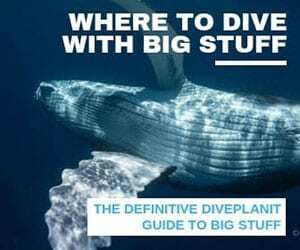 The dive sites also provide encounters with big fish. 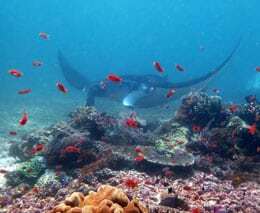 The reefs in Sorong, Waigeo and Misool are spectacular and drift diving is excellent here with the highlights being manta rays and a fascinating macro paradise. 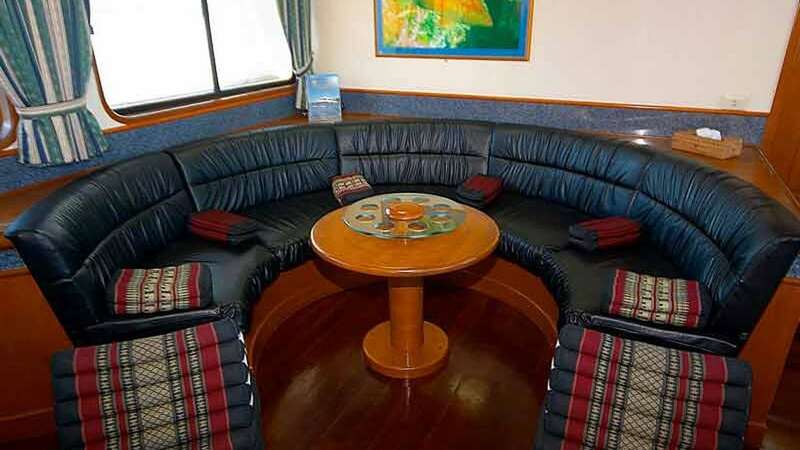 Mermaid 1 now has high-end internet with each guest receiving a free allowance which is enough for emails. More bandwidth can be purchased from the internet cafe at around 50Mbper EUR 20. 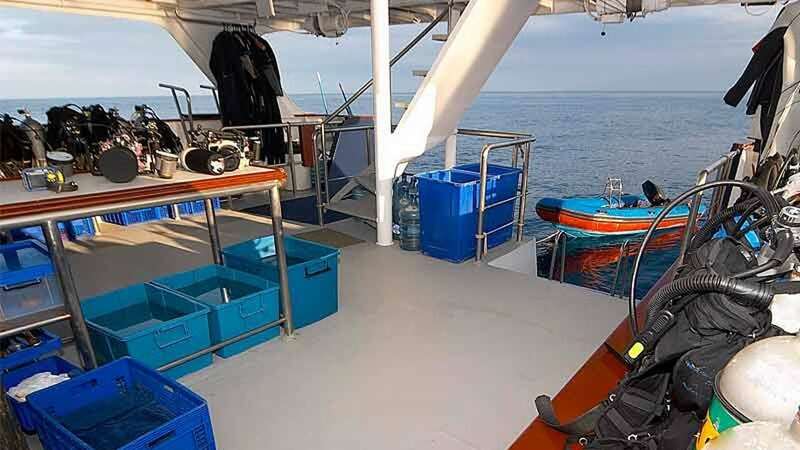 More great news is that they have installed 3G boosters on both Mermaid 1 and Mermaid 2 – extending phone access to more than 30km from the nearest signal tower. 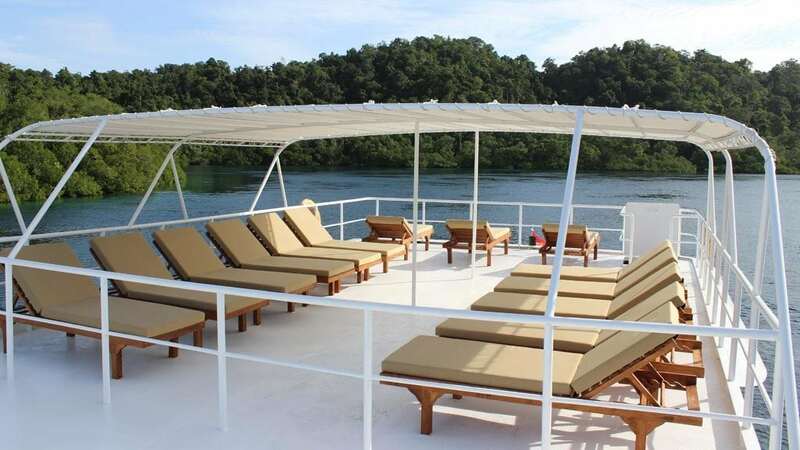 This means guests will be able to quite freely use their phones throughout the Komodo cruise and in many areas in Raja Ampat. 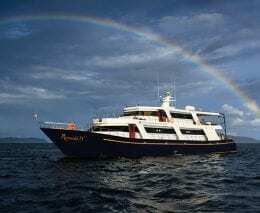 Mermaid 1 is among the best dive liveaboards in Komodo and Raja Ampat. 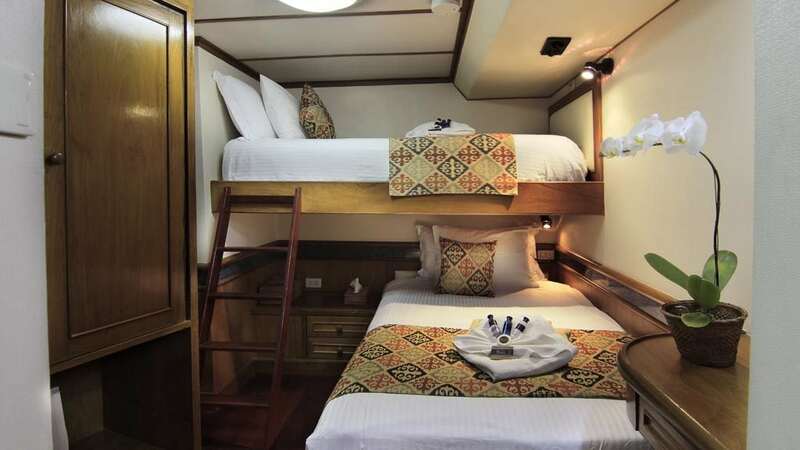 Cabins are spacious and amenities are on par with the best luxury dive cruises in the South-East Asia/Pacific region. The personalised service on board is excellent. 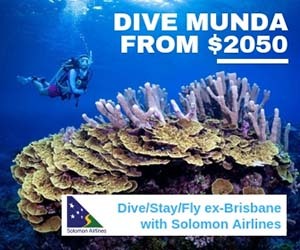 Special payment and cancellation fees apply for the cruises.